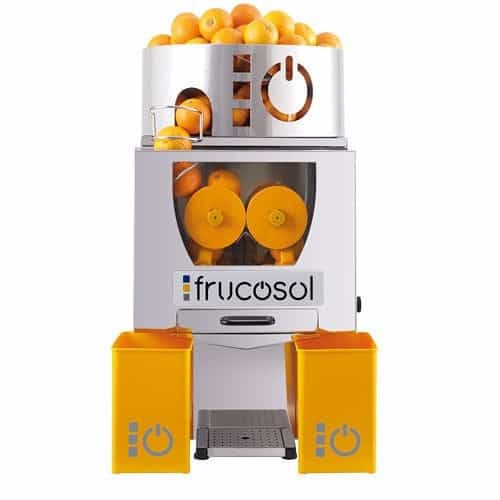 The Frucosol F-50 Automatic Juicer produces top-quality orange and other citrus juices easily and quickly in a simple, elegant machine. It’s the perfect juicer for restaurants, coffee shops and bars. 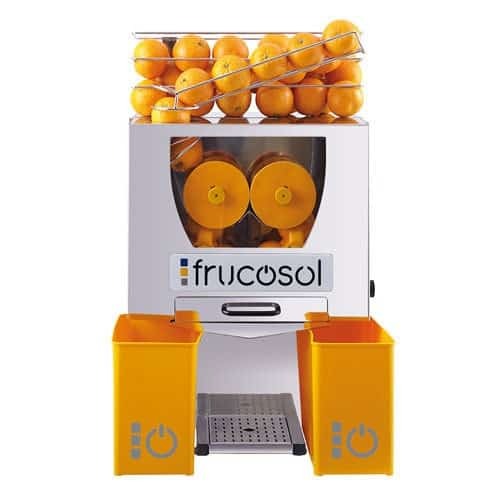 Frucosol Juicers can be found in coffee shops and bars across Spain and southern Europe, and we are proud to offer it for sale in the U.S. With only a few moving parts, the F-50 takes whole oranges from the feeder chute and slices them in half before juicing the fruit. The peels are then dispensed into bins while the juice pours directly into a pitcher or glass. The F-50 can easily juice oranges, grapefruits, lemons, and limes – any fruit up to 3.5 inches in diameter. The juice can juice up to 25 fruits per minute. The unique squeezing process allows for maximum juice produce without bitterness from the peel. 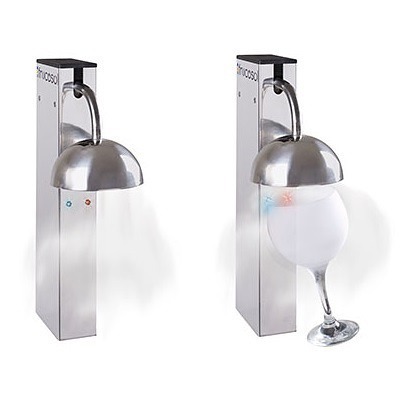 Customers will enjoy watching the juicer in action through the transparent front panel, and the stainless steel construction will make it a welcome addition to any kitchen. The juicer is not too loud as to be disruptive. The F-50 model comes with a feeder chute on top of the juicer that holds fruits and feeds them into the juicer. A sensor shuts the juicer off if the door is opened during production. Price includes delivery to continental US address and includes all customs, duties, and taxes.